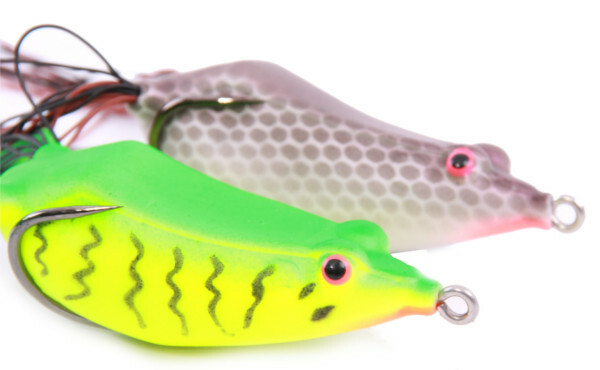 This lure is not for the fainthearted! 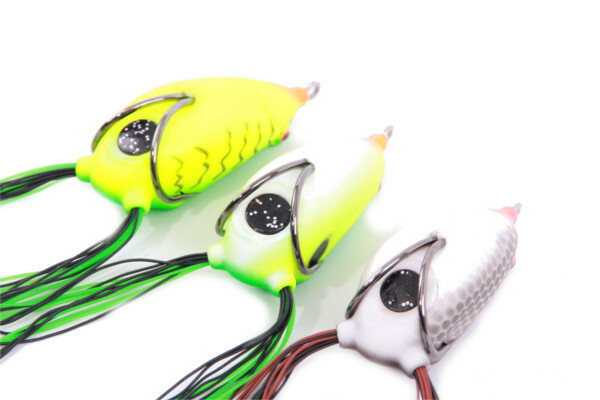 These Kato Super Frogs can be fished directly over water plants or lilies and will deliver the most spectacular strikes ever! Very suitable for pike when there is a lot of vegetation. 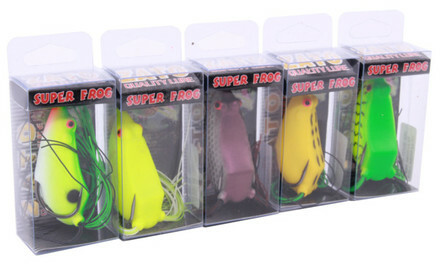 The body of the frog is from soft rubber so the hooks will be ‘set free’ if there is a strike! 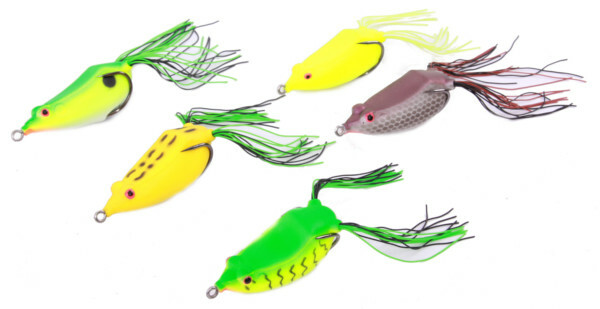 Because the hooks are just inside the rubber you can fish through plants without a problem. 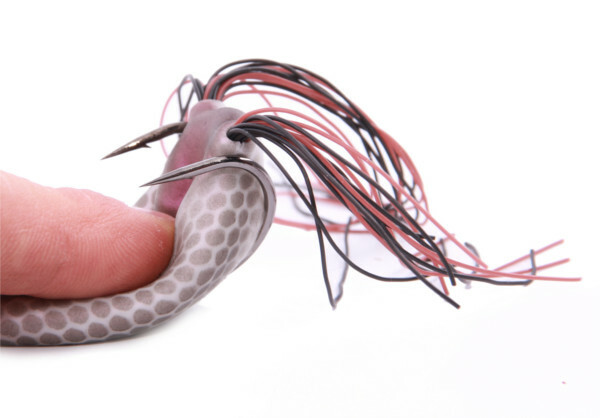 The flexible tail triggers the predator and make Super Frogs irresistible!